At SpeakTo we believe that the resources we require in order to excel are at our fingertips. They are all around us if we were only to really look, listen and learn, and find meaningful ways to engage. Leaders from all sectors rarely invest the time to get to know the people that they already work with. But this is where huge opportunity lies. When we discover where people’s passions, skills and knowledge really lie, you can shape an environment that will bring out the best that they can collectively be, improving communications, levels of collaboration and innovation. Too often an individual’s abilities will lay dormant, unnoticed, unappreciated whilst we, as leaders, rush around trying to solve complex problems, throwing money, time and effort in the wrong direction. 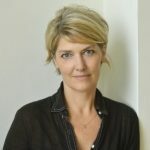 We are delighted to be a selected partner with the trailblazing GC Index, which offers a unique, highly effective tool which is able to recognise individual strengths and proclivities that dictate how we make an impact to a role, team or organisation. 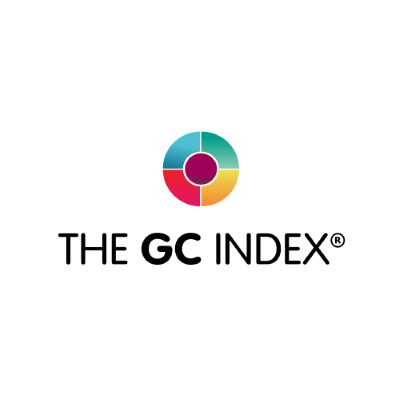 GC Index is a fast-growing worldwide community with an impressive client base who are already experiencing the transformational impact of finding where peoples passions and motivations lie. SpeakTo’s commitment to “making the most of what you already have” by identifying potential and providing the opportunity to engage it, is greatly enhanced by its accreditation with the GC Index. A simple technology-based platform, the GC Index starts with a short questionnaire, a digital diagnostic that individuals answer online. Using a common, accessible, language and framework, it measures and describes five different ways in which people are inclined to make the greatest contribution and the most effective way in which to organise them. 1.Strategists are those that see the future, shaping and setting direction and articulating it. Imagination mixed with pragmatism they are often visionary with a reputation for seeing the important patterns. They can also sometimes be a bit imposing and dictatorial. 2. Implementors deliver tangible, measurable outcomes to ‘get things done’. High on action and pragmatism they are often a ‘safe pair of hands’, focussed and disciplined, with a tendency to be a bit impatient. 3. Gamechangers are high on imagination and obsession and generate ideas and possibilities that are transformational. ‘Out of the box’ thinkers they can articulate ideas in ways that others can see though they can be single minded and inflexible. 4. Polishers have a reputation for setting the highest possible standards, constantly striving for improvement, the guardians of excellence. High on action and obsession they can also be overly demanding. 5. Playmakers have a bit of everything and get the very best from others individually and collectively in support of agreed objectives and goals. They ‘make things happen’ by involving and including and are driven to help others shine though they can sometimes avoid conflict and be a bit disingenuous. In identifying the construct of individuals, teams and organisations, the GC Index can generate an understanding of how best to tap into people’s strengths, highlighting where there are gaps in the delivery of outcomes, facilitating better communication and understanding. We see it as an essential tool for any leader looking to make the most of what they already have. If you want to find out more, contact us at SpeakTo where our resident GCologist, Steve Boucher will be happy to discuss how we can help release your potential.